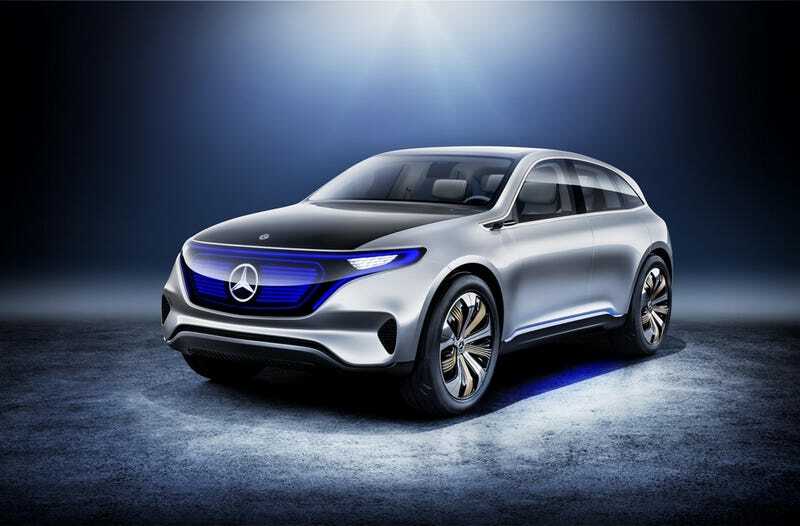 Thoughts on the Mercedes-Benz Generation EQ Concept? This concept by Mercedes-Benz is supposed to represent the future of Mercedes’ electric car division to fight Tesla Motors. “Daimler CEO Dieter Zetsche insisted the fully scalable powertrains and architectures inside the Generation EQ would give his company a battery-electric family of an SUV, a sedan, a wagon, a coupe, two- and four-seat convertibles and more...All of them will sit beneath a new Daimler sub-brand, dubbed EQ, using lithium-ion battery packs developed and made by its subsidiary Deutsche Accumotive...The concept car sits atop a 70-kWh battery pack and its two electric motors produce up to 402 hp of power and 516 lb-ft of torque, good enough for hit 62 mph from a dead stop in less than five seconds. Even with that much performance potential from hosting an electric motor on each axle, Benz says the car is capable of eking out around 311 of range from a single full charge. (This is on European testing, US EPA range estimates are typically lower. )” - Michael Taylor/Autoblog. This link will give you the full story on this concept. What are your thoughts on the Generation EQ Concept, and the new EQ sub-brand? I think I like it!